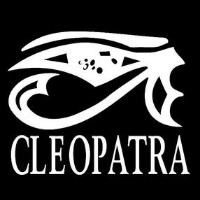 Cleopatra Records is a Los Angeles-based independent record label founded in 1992 by entrepreneur and music fan Brian Perera. It has since grown into a family of labels, including Hypnotic Records, Goldenlane, Stardust, Purple Pyramid, Deadline and X-Ray Records, encompassing a variety of genres with emphasis on unique and experimental artists. Cleopatra Records specializes in gothic rock, hard rock, heavy metal, electronic, dubstep and reissues of out-of-print music. This is an area where you can submit your demos for our consideration. - How to Submit - You can upload your song(s) using the submission button on the right and please don't forget to add your contact details for us to contact you if we like what we hear! - Message - When sending over your music, it's always good to add some more information about yourself and/or the release. So drop us a short message along with your submission! We do listen to everything that is submitted but, due to time constraints, unfortunately we cannot provide everyone with feedback. We will however, contact you directly if we are interested in discussing your submissions and learning more about you. Looking forward to hearing your submissions!